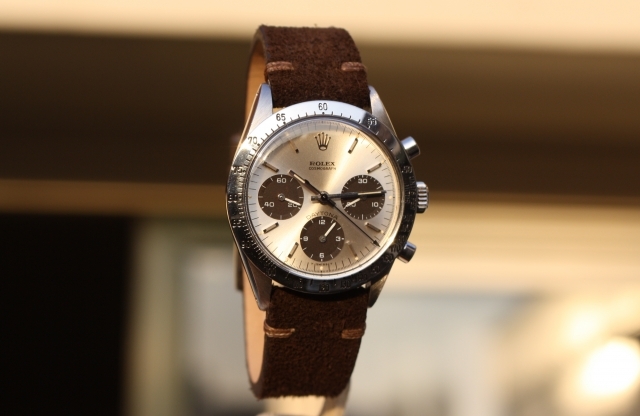 Rolex 6239 Cosmograph Daytona from 1969. 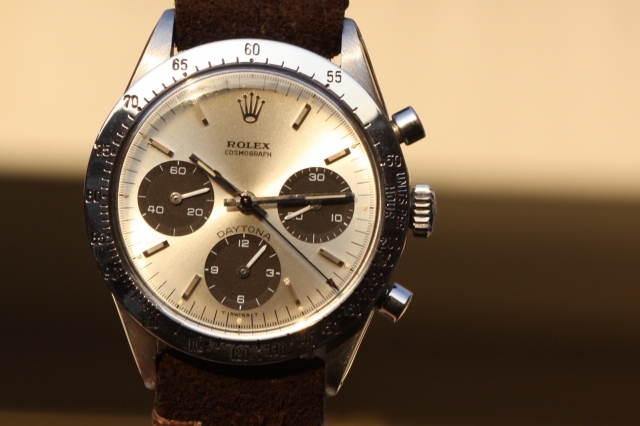 The Rolex 6239 may be one of the most sought after chronograph watches today. 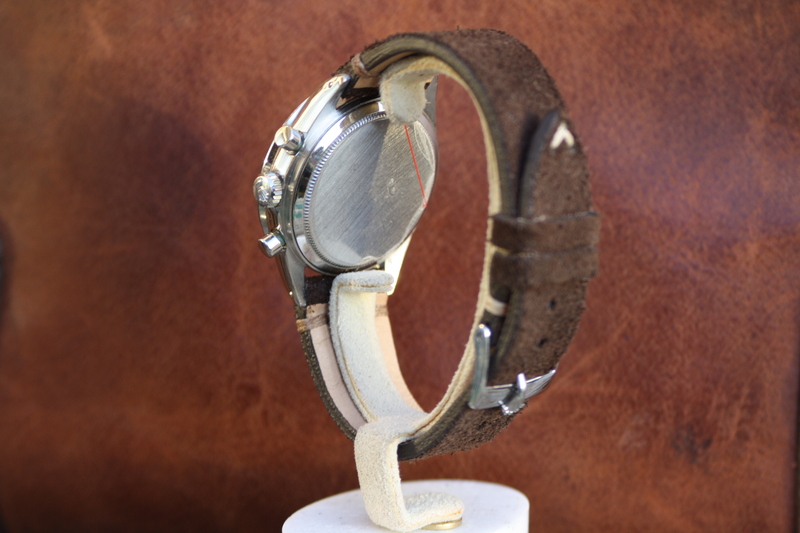 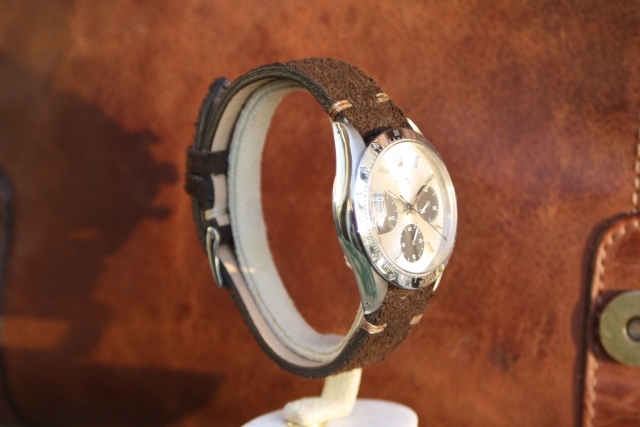 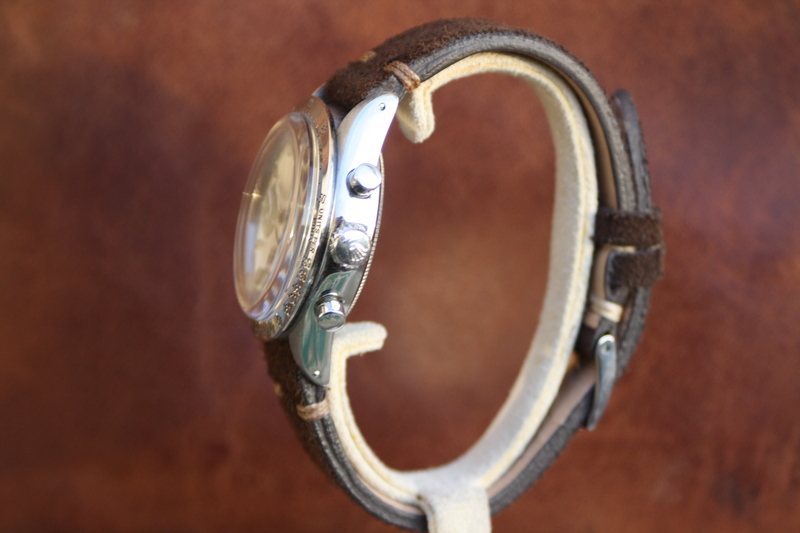 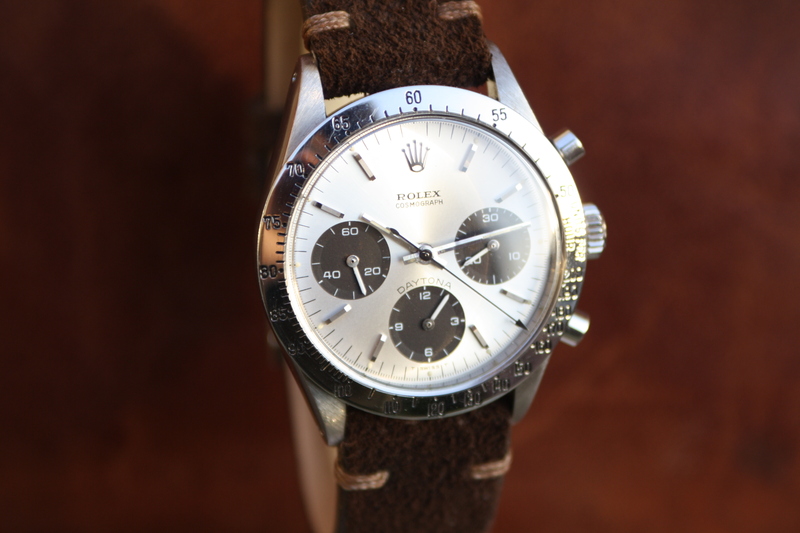 The watch we offer for sale is one of the best examples on the market with a silver dial and dark brown subdials. The Rolex 6239 Daytona has not always been a popular Rolex mode, it was hard to sell a Rolex Daytona. Today it sounds unrealistic that a Rolex 6239 with the exotic ‘Paul Newman’ dial costed around 300 dollar back then. For example, a rolex day-date in yellow gold was 10 times more expensive then any steel Daytona watch. One of the people who actually did appreciate the Rolex Daytona Cosmograph from the begin is cult icon mr Paul Newman. 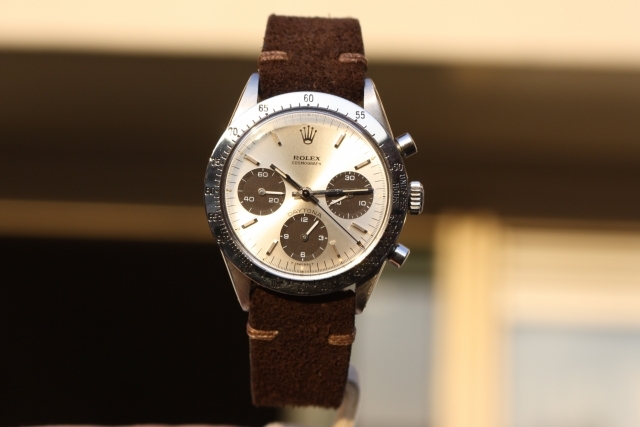 Mr Neman was often spotted with his rolex Daytona ref 6239 with ‘Exotic Dial’. 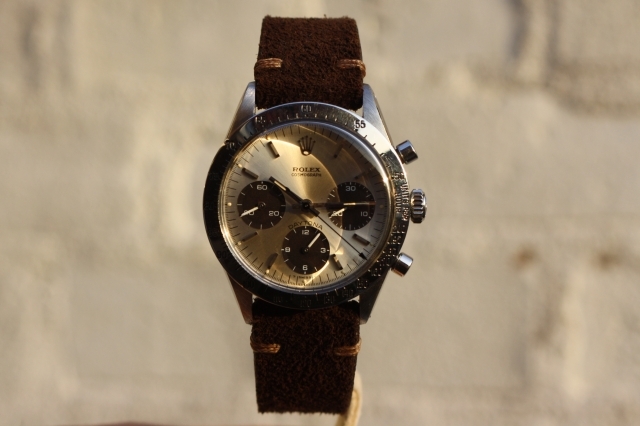 Recently the personal watch of Paul Newman sold for a record amount at Phillips watches. 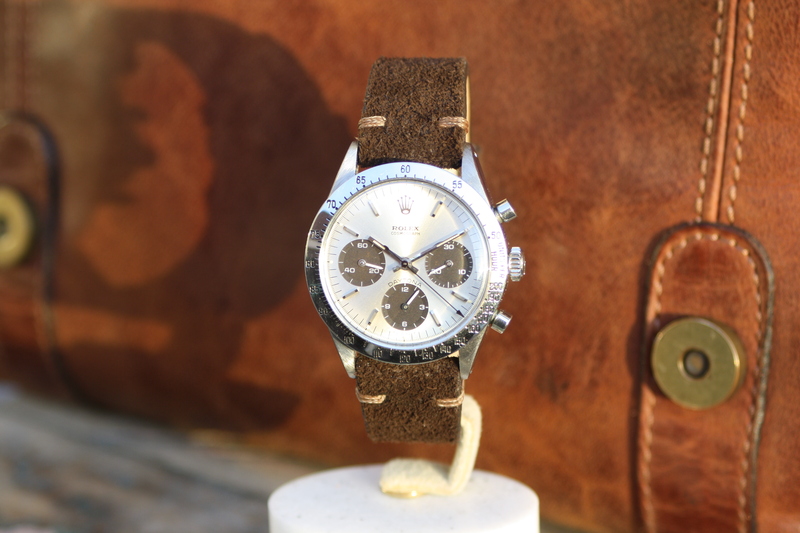 The ref 6239 is also known as the Paul Newman reference. 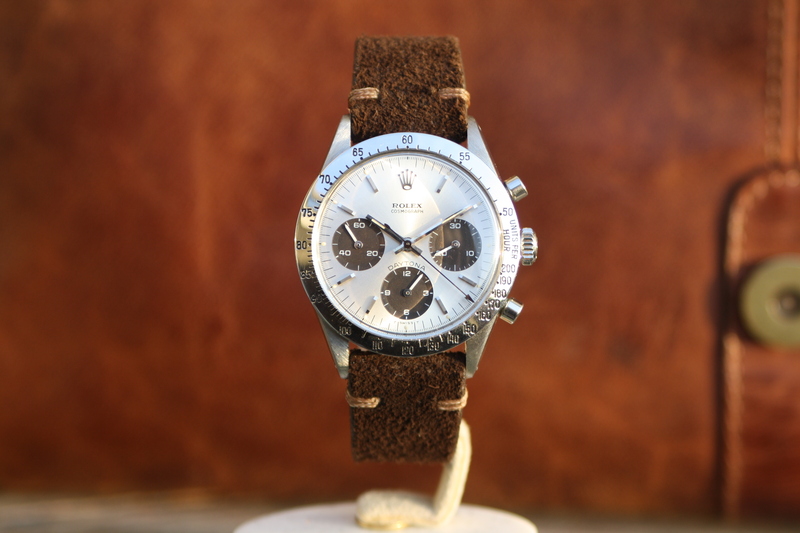 One of the most important aspects when it comes to collecting vintage Daytona watches is condition. 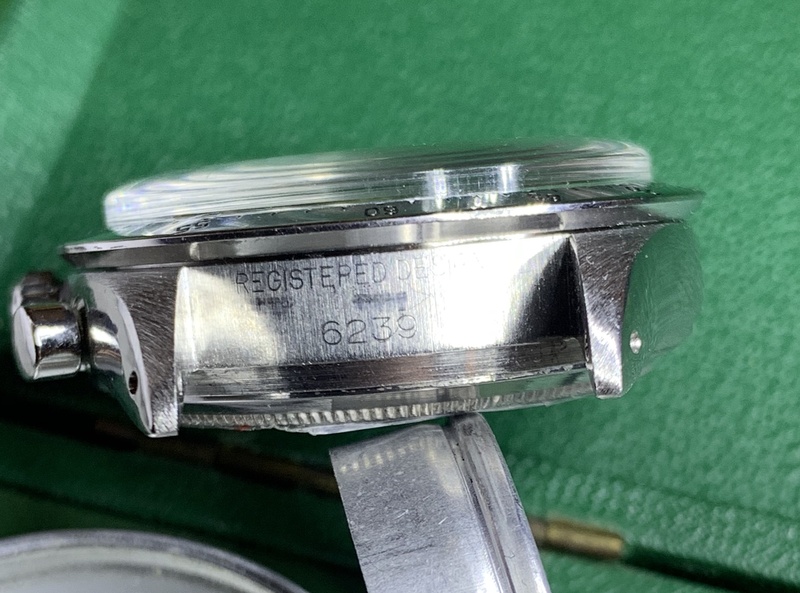 Besides the fact there are many fake and build up watches in the market today, the condition of dial, hands and case is very important for the value. 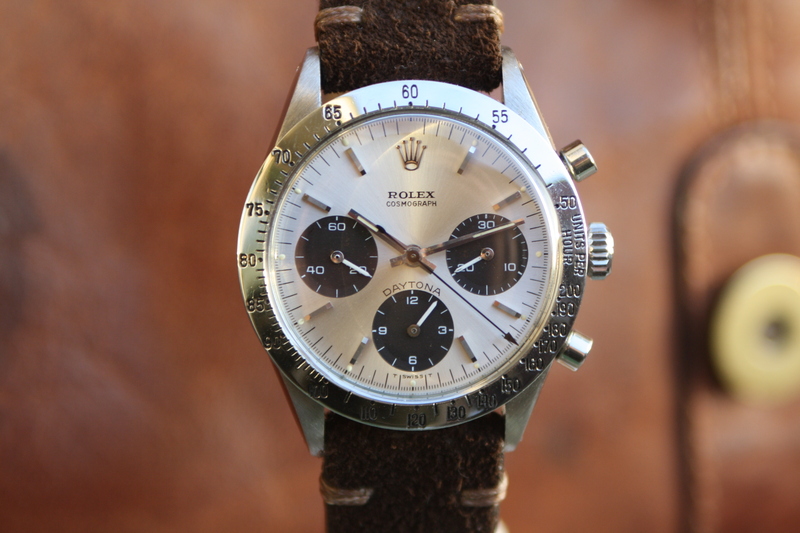 This Rolex 6239 Daytona is fully original, the dial is flawless and all tritium dots are present. The overall condition could be considered to be perfect. 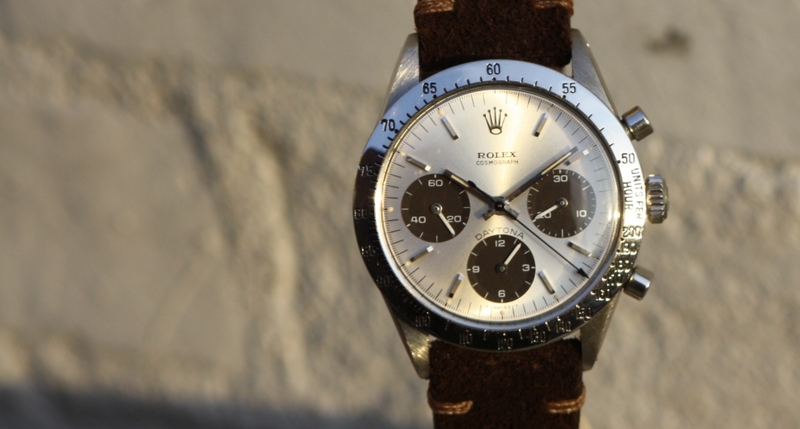 We are happy to mention the subdials of this particular Rolex 6239 turned into a beautiful chocolate brown color. The movement has been carefully maintained at our Rolex specialist watchmaker. 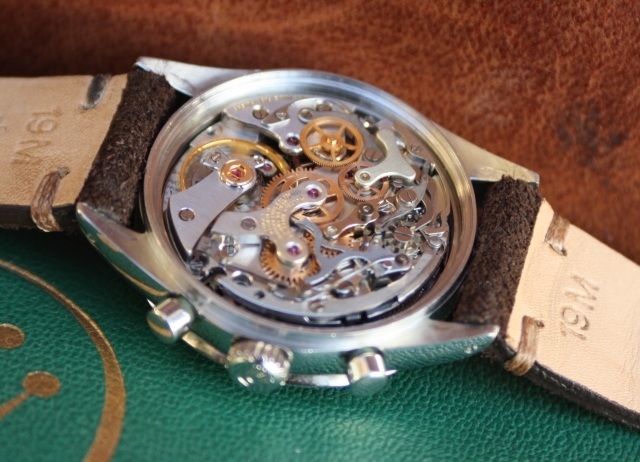 It’s running perfectly and the chronograph function is working smooth. Of course the watch comes with a full 1 year guarantee. Please contact us for any questions or inquiries about this vintage Rolex Daytona. 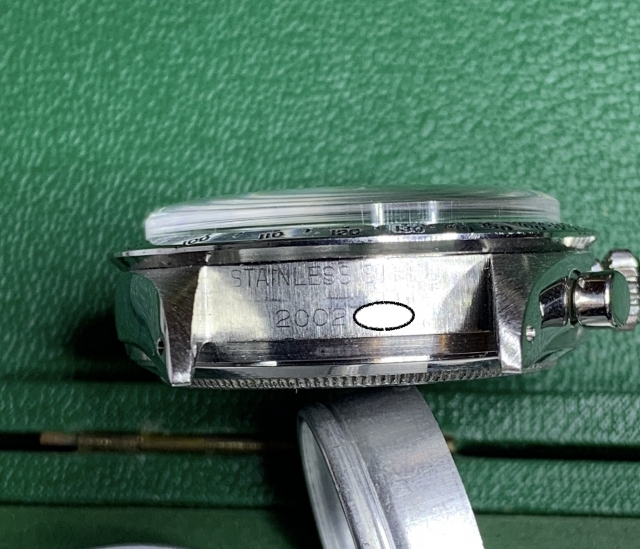 We are happy to supply you with more detailed pictures and information. 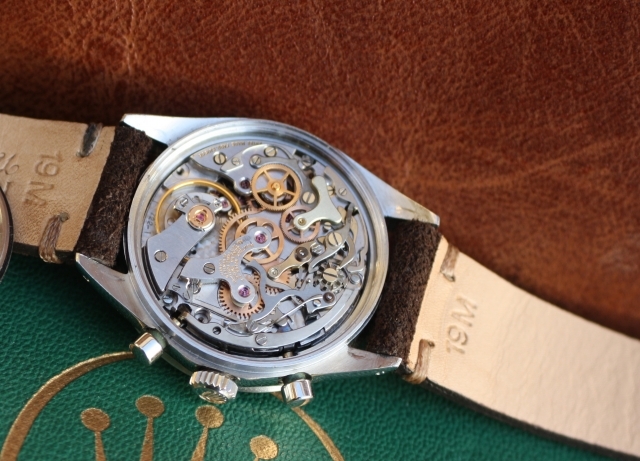 We deliver worldwide and also trade in vintage timepieces. 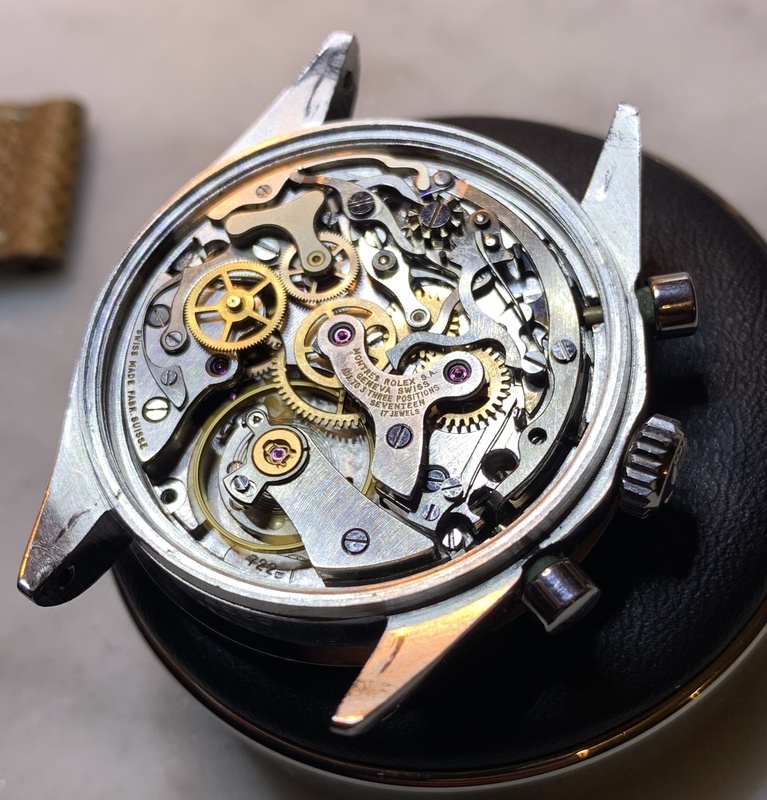 Contact us at [email protected] or use the contact form below to get in touch.